After the cap an gown came off we took our girl to her favorite place to eat…Chick-fil-a. The adults sipped on water while the kids ate and played in the play area for a while. After we headed to our favorite local place for some chicken wings. The afternoon was pretty lazy and I actually fell asleep on the couch at some point for at least an hour…I love when that happens! I went to bed last night with no plan for dinner tonight, but that all changed when I found the pound of crab meat I had bought at Sam’s a week ago. 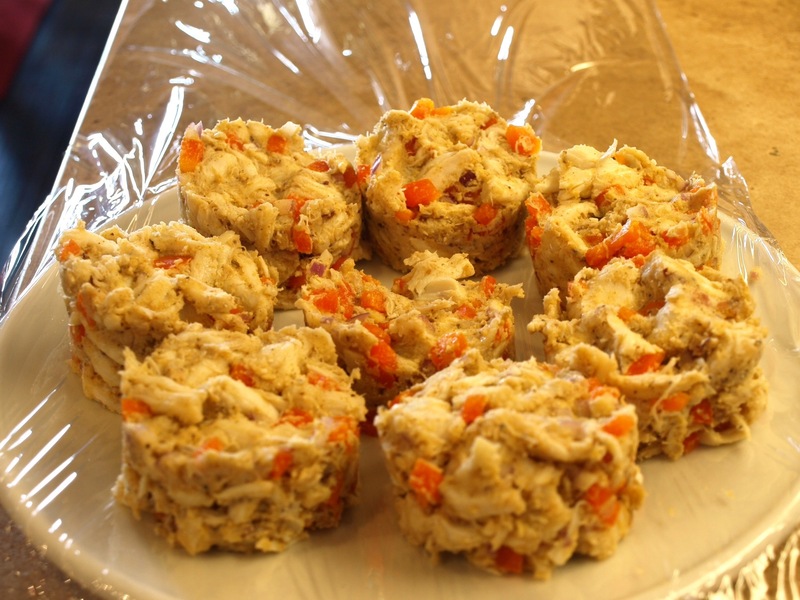 Crabcakes are tasty, and I usually have what I need on hand to make them. 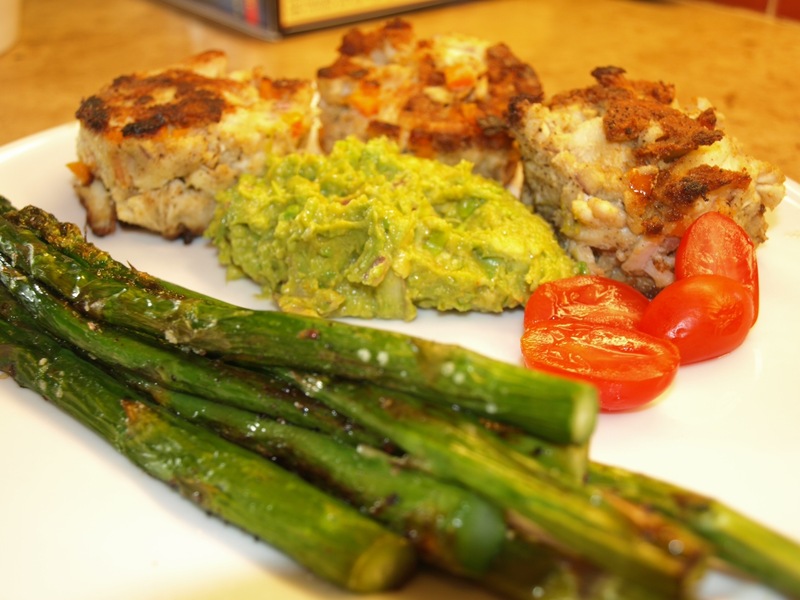 I had to make a little Paleo mayo, but otherwise it was a pantry dinner. 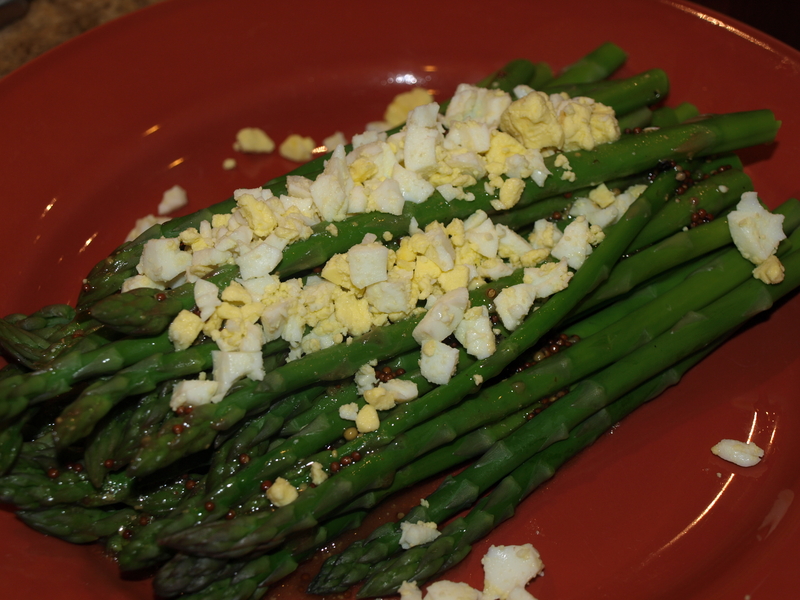 Roasted off some asparagus to go with and dinner was served. One tip is to form the cakes with a ring mold and refrigerate them for around an hour to give them a good chance of not crumbling to pieces. Even with that, two of the eight cakes I made kind of crumbled. I made a quick spicy guacamole on the side to complete the plate. Man, these were good! Another day down. I’m starting to think I was crazy to plan my Whole 30 with the last week being during my vacation, but that’s the way it turned out! Hope all are well, till tomorrow. Greetings all! Hope all are well. 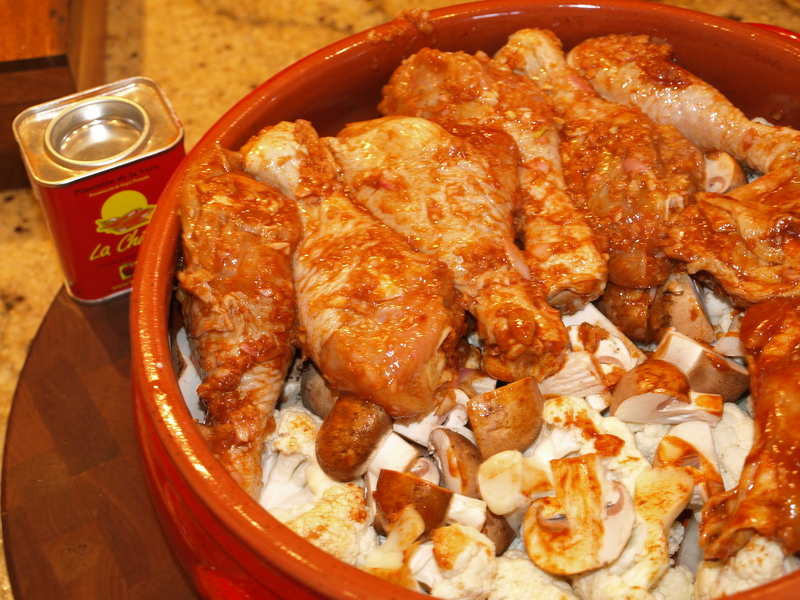 Tonight I took my basic baked chicken recipe and changed it up by using spanish smoked paprika, or Pimenton as the major flavor. 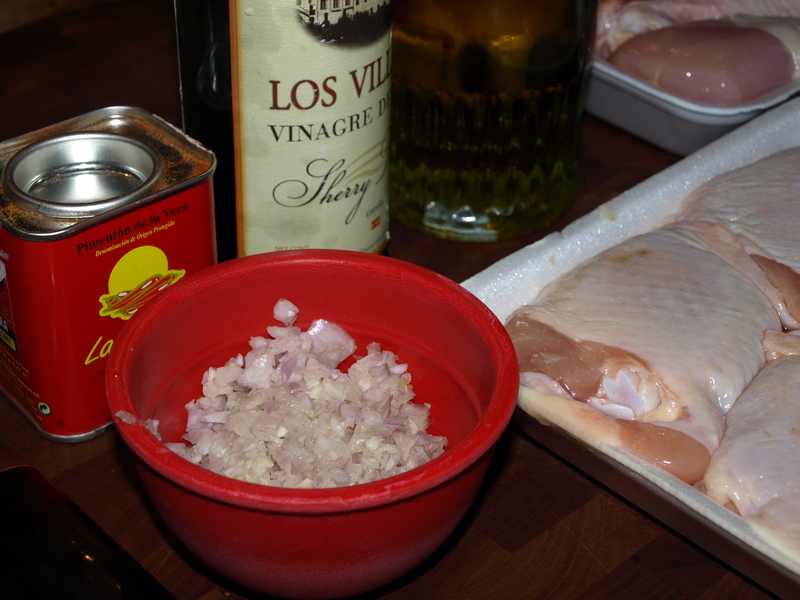 Start by putting together a marinade with 2 chopped shallots, 1 garlic clove, 2 T Sherry Vinegar, 2 T Olive Oil, and your chicken pieces (I used 6 Drumsticks and 4 Thighs) which I seasoned liberally with salt and the Pimenton. 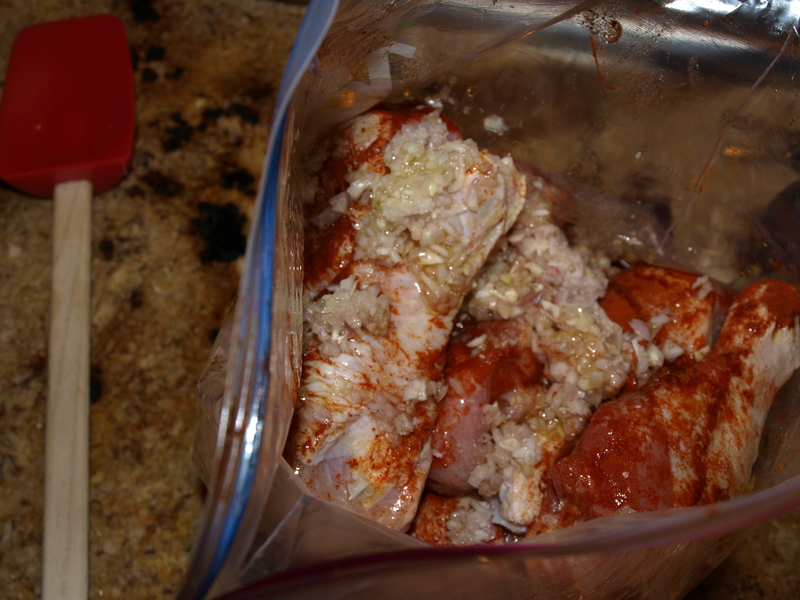 Put in all in a ziplock bag and marinate for a few hours to overnight. When you are ready to start cooking, Pre-Heat the oven to 400 F Convection, divide up a head of cauliflower into florets, quarter a container of mushrooms, and roughly chop a yellow onion. Place these at the bottom of a large oven safe casserole, season with salt and pepper, and top with the chicken pieces skin side down. Add a scant 1 cup of chicken stock to the dish making sure to pour between the chicken pieces as to not take the seasoning off the chicken. Bake in the oven for 20 minutes, then flip the chicken over for an additional 35 minutes in the oven. While the chicken bakes, hardboil an egg and peel it. 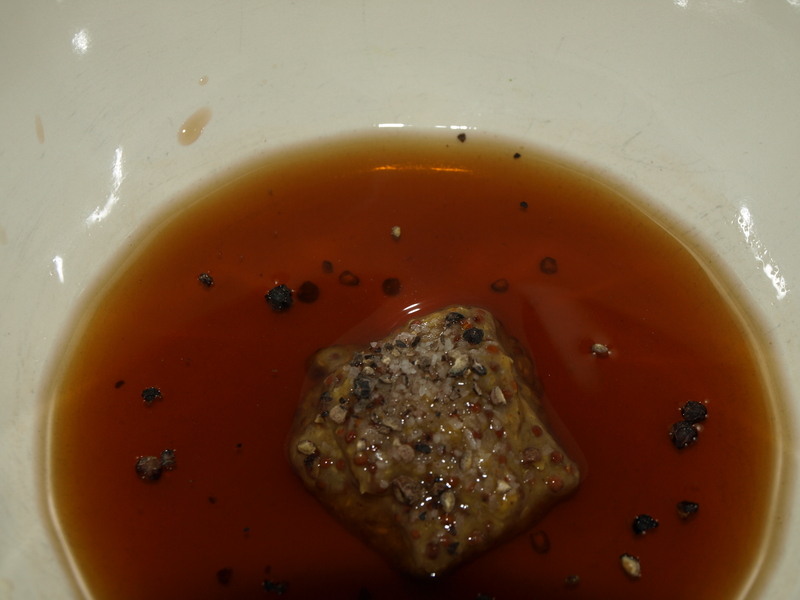 In a bowl combine a tablespoon of grainy mustard, 3 tablespoons of good Sherry Vinegar, and a little salt and Pepper. 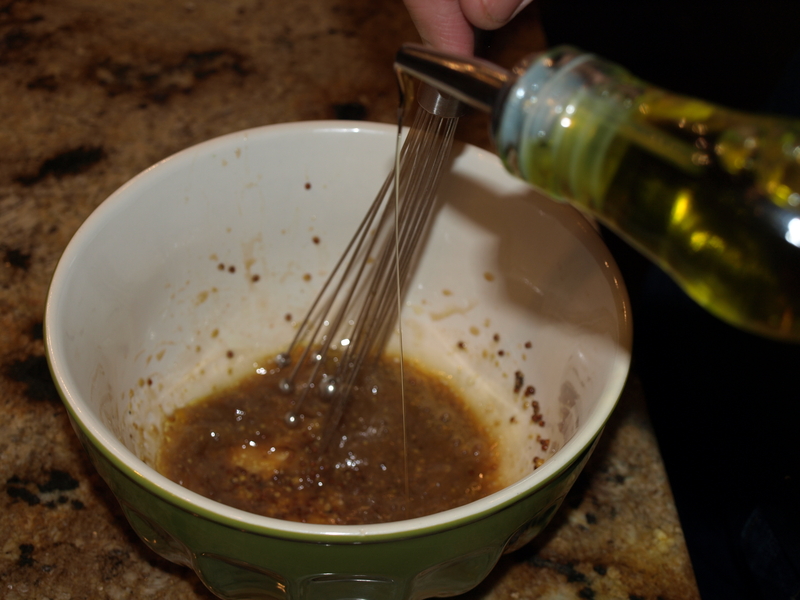 Whisk in 4-5 Tablespoons of good olive oil until you make a very loose vinegarette. Cut and trim some relatively thin asparagus spears and get some water boiling in a shallow pan that has a cover you can use. 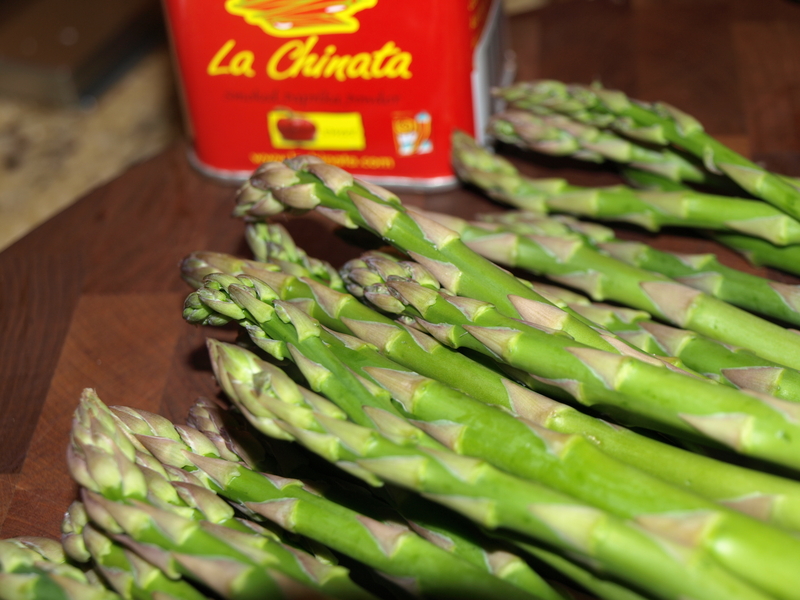 Steam the asparagus till just tender and plate. Pour the vinegarette over the top while they are still hot so they absorb it better, and sprinkle the chopped up egg over the whole mess. It’s so YUM! 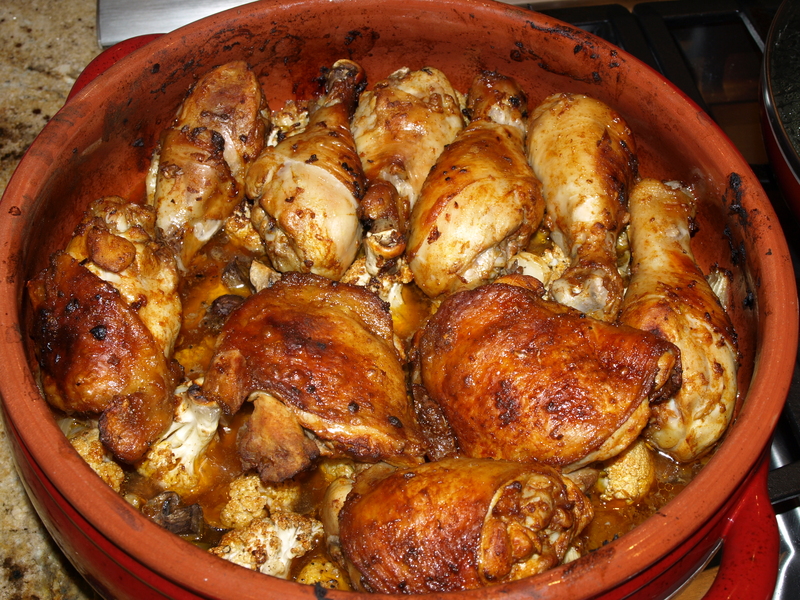 Once the chicken is done, remove it from the pot and let the veggies cook in the oven for around ten minutes, replace the chicken on top, reheat in the oven a few minutes, and take it to the table! The chicken is perfectly done, and the cauliflower and mushrooms have absorbed all the delicious fat from the chicken baking above. Whole family gave it an A Plus, hope yall can try it! 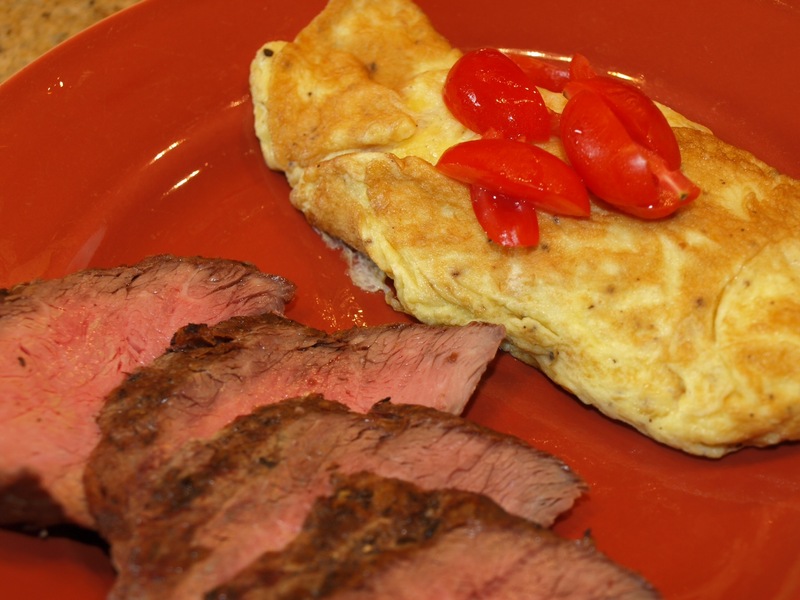 I’m telling you guys, eating Paleo does not have to be boring. It’s also not hard at all to put together these recipes. Can’t wait to figure out what to make tomorrow night!